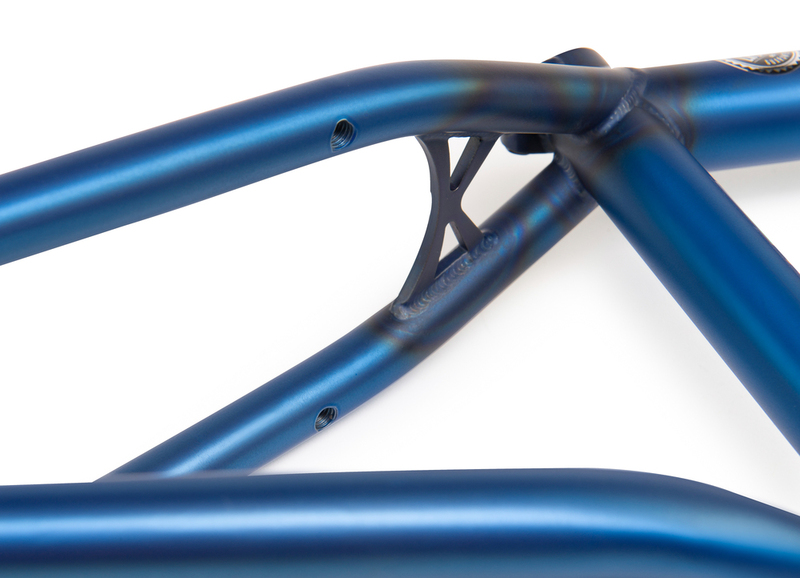 Inventory: The Scorpio Frame — WETHEPEOPLE BIKE CO. The Scorpio frame is a frame with some serious heritage. Born from the ashes of our legendary Lofi frame (one of the most popular Wethepeople frames ever), the Scorpio took it's place as our responsive, do-it-all steed which could take a serious beating. Over the year's the Scorpio has stuck to the Lofi's simple, slick legacy; but has gained from the constant and never ending research and development we put into frame building technology. Frames are all about personal preference. Some like them high, some like them low. The Scorpio was always designed to be a quick and nimble steed, and that's why decided to build it with a marginally lower 8" standover height, allowing you to have slightly more room under you if whips and spins are your game. Smith to Whip machine Justin Care is just one of the guys on the team who swears by the Scorpio frame., for it's modern geometry and unmatched strength. Justin rides the 21" toptube version in Matt Trans Blue. 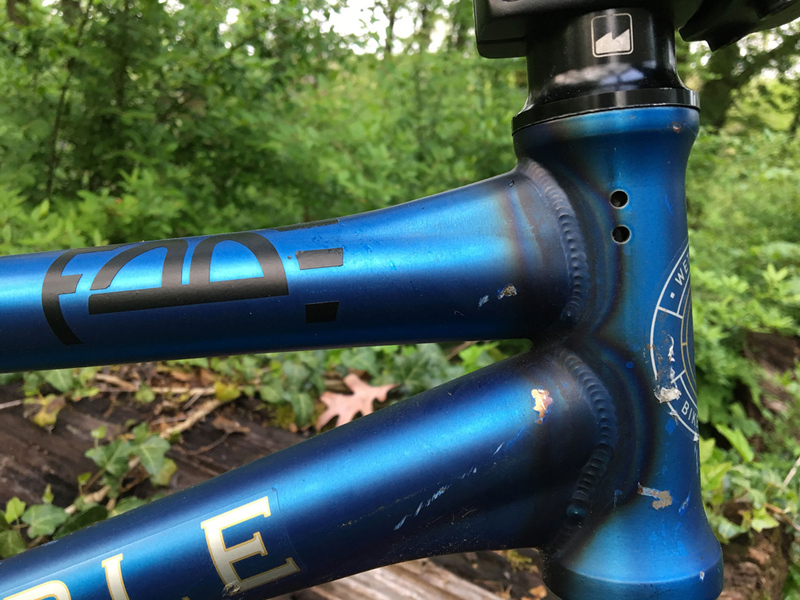 The combination of the short back and and steep head tube make it the most responsive frame Ive ever ridden. One of the most notable features on the Scorpio are the Hydro-Formed top and down tube gussets, which we first developed 4 years ago. Forming the tubes into a larger shape at the ends, provides a greater surface area for welding which in turn makes for a stronger join without adding weight. The Scorpio head tube is so strong that we have seen some riders that will refuse to run another frame, simply because they have fallen in love with the look, and the huge strength advantages that the design brings. Not only is the Scorpio super tough, but it also has some neat features which set it apart from the rest of our frame offering. 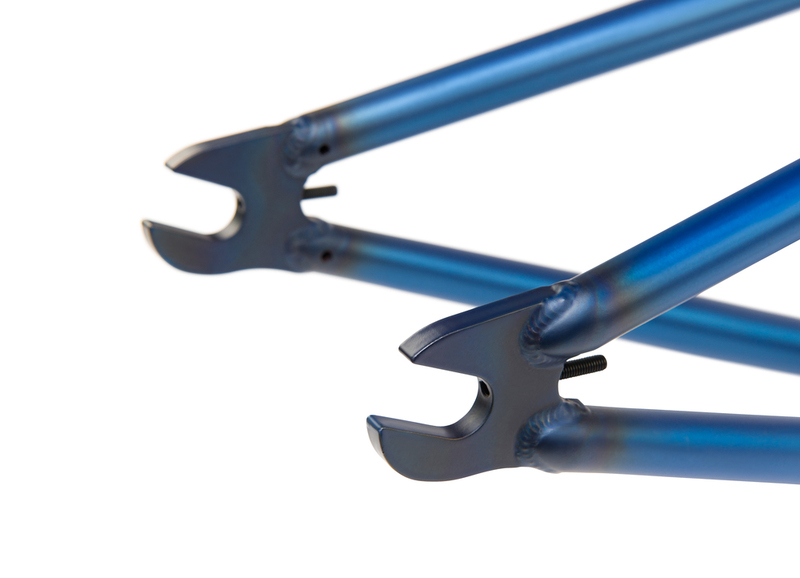 The Scorpio uses 6mm thick CNC machined dropout, designed to match perfectly with a peg and hub guard to prevent any hangups during grinding. 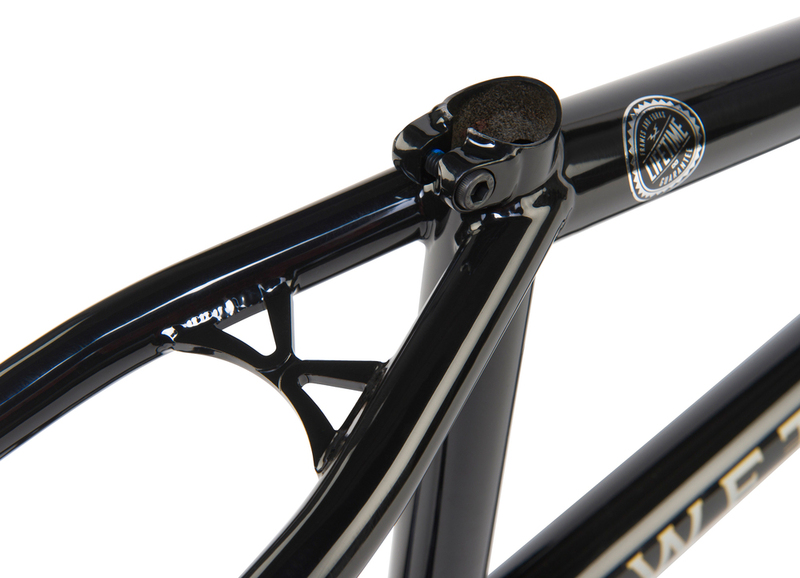 The seat stays and chainstays are tapered, and domed at caps to give the frame a classic look. The dropouts also use an integrated chain tensioner, allowing you to easily maintain a tight chain and a dialled back end. To round off an already beautifully finished frame, the Scorpio has it's own distinct laser cut seat stay bridge, a nod to the bridge on the original Lofi frame, the Scorpio's predecessor. 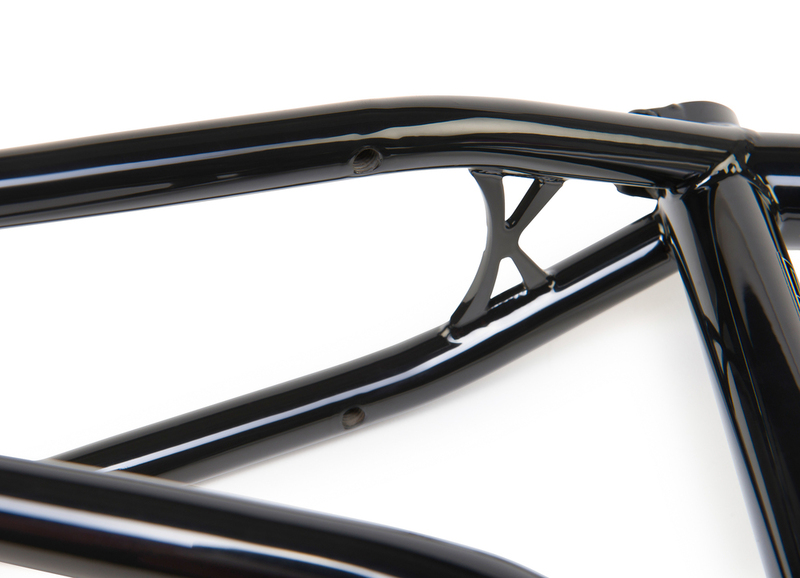 The Scorpio and ALL of our Aftermarket frames are covered by our full LIFETIME GUARANTEE.